Happy Halloween Kids! 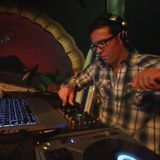 djGETZ back with some ear candy for your head! djGETZ- On a mission to make new beats and recreate THE SOUND for a new generation & also keep the old school alive and kicking. The Grandson of the Jazz Legend Stan Getz. Working on a project with musicians and Dj&apos;s to collaborate on a remix of Stan Getz Jazz classics. Good Vibes and Beats to all in the universe... BOOKING CALL 310-429-2333. Have beats will travel anywhere in the world!